UTSA is an institution with great momentum and is committed to student success and research excellence. Its commitment to address the grand challenges facing San Antonio has earned recognition from community leaders and industry professionals and continues to be reported by local, state and national media. UTSA is a growing community with intentions to expand to over 45,000 students by 2028. However, like the community UTSA calls home, this major public university maintains its personal touch. UTSA provides a wide variety of quality programs and services designed to support student success and enrich learning and living experiences. Faculty and staff are committed to helping students reach their educational, personal and professional aspirations with one-on-one interaction and personal instruction. Experiential classroom-to-career opportunities enhance the learning experience and open doors for Roadrunners. No. 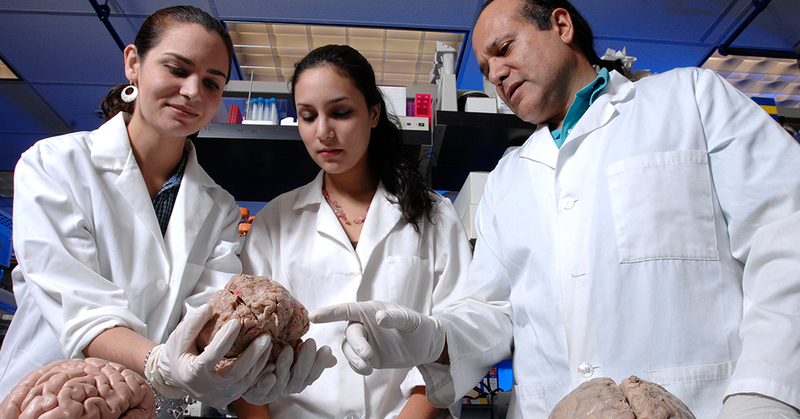 66 arts and humanities program in the U.S.
Makes significant contributions in nanotechnology, brain health, stem cells, medicinal drugs, infectious diseases and vaccine development, and cybersecurity, where UTSA ranks No. 1 in the nation.